Come home. All is forgiven. A very few of you may remember way back in May, when I read Connie Willis’s Blackout. Blackout and All Clear tell the story of three time-traveling historians from Oxford in 2060. Polly, Mike, and Eileen have traveled to the London Blitz in order to study different aspects of it, despite the danger, but now they are in a completely different kind of danger: their drop won’t open to let them return home. They’re stuck, afraid for themselves and each other and the friends they’ve made among the “contemps,” and one of them has an even more pressing problem: she has already been to World War II… later, close to V-E Day. If she is forced to stay until her “deadline,” she knows she can’t be in two places at once: she’ll die. Perhaps worst of all, there is more and more compelling evidence that they, as historians, are changing the past, and therefore the future. This is not supposed to happen — the Net is supposed to prevent it — but they have to believe the evidence of their eyes: a child’s life saved, a woman who joins the nursing corps on their inspiration. This is the worst terror of all. If the flap of a butterfly’s wings can create a hurricane, what can saving a man’s life at Dunkirk do? The effect may ripple backward and forward in time, causing unknown consequences. I gave Blackout a fairly negative review, claiming that it was chaotic, that I wasn’t as engaged with the “contemps” as I wanted to be, that the three historians seemed slow on the uptake. Now that I’ve read All Clear, I take it all back. Imagine that you read your favorite novel, and then stop exactly halfway, even if that’s in the middle of a chapter or at a completely illogical spot for character development or plot arc. Now: judge the first half of that novel as a complete novel. What do you think of it? It has potential, right? You care about the characters, but you don’t really see what they’re doing; you feel grumpy and disappointed; you haven’t fully engaged. That’s what happened with these books, in my opinion. It’s one big novel, not a complete novel and its sequel. Why in God’s name it was marketed this way is totally beyond me. All Clear, on the other hand, when joined properly to its other half, is marvelous. It’s moving and fascinating and detailed. You get to see all kinds of things come to fruition that were only hinted at in the first half. Things you thought were absolutes turn out to be true, but in a different way; light shines from a different direction. You get a real understanding of what life was like during the war in England, and more. I was shaken and touched. I had held out hope in my other review that All Clear might redeem Blackout. It does more than that. It turns it into a different kind of novel, it explains it, it makes it into one great, terrific (1300-page, admittedly) experience. All my faith in Connie Willis has been restored, and then some! Please, please — if you read these, read them back-to-back, but read them! Note: I didn’t mean to make this Connie Willis week, with Teresa reading To Say Nothing of the Dog, but I’m not sorry! 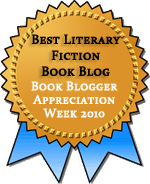 This entry was posted in Fiction, Historical Fiction, Speculative Fiction. Bookmark the permalink. I finished All Clear yesterday–with tears in my eyes for the last hundred or so pages. Wonderful story, but if the editor had done her job, it would have been tightened (Willis has long had the tendency to run on too long) and it would have fit within the covers of a single book. I’ve learned more about the Blitz via fiction than I ever did in history class. I agree with you completely, both with the teariness during the last hundred pages (and elsewhere!) and about the need for editing. I cut Willis a lot of slack because she’s done good things with repetition before — I think she used it to good effect in Passage, for instance — but here I think it didn’t serve her well. This should have been one book. I hope you do! Let us know! I just read To Say Nothing of the Dog yesterday and my first experience with Willis has left me longing for more. So glad to hear that All Clear has redeemd Blackout and that I can look forward to reading both (together, of course)! Oh, I’m so glad you liked To Say Nothing of the Dog! Her other books are almost all a bit more serious, but I have literally not read anything by her that I didn’t like, and mostly loved. I wonder if they’ll ever be released together in a omnibus? And thanks for the heads up—Willis is on my list, but I know I need to start somewhere safe. An omnibus would be the best way to release them. I always recommend To Say Nothing of the Dog to get people hooked on Willis (and her short stories are also wonderful, if you like that kind of thing.) I hope you love her! I never thought of that meaning of the title! But of course, you’re quite right. Hahaha, okay, I will check them out both together when I read them. I may end up writing Connie Willis a similar forgiveness note, if her other books work better for me than the Doomsday Book which I hated. I just went and read your review of Doomsday Book. I didn’t have quite the same reaction — I wasn’t bored by the Middle Ages parts, since I was engaged by the people Kivrin got to know, and I thought she was doing a good job of portraying the Middle Ages. And the virus-in-the-future parts seemed interesting to me, too. So I liked the book a lot, and I thought it had some important things to say. But if I were you, I’d try To Say Nothing of the Dog, and if you don’t like it, then Connie Willis is probably just not to your taste, which, everyone can’t be! I wonder why Willis decided to split up Blackout and All Clear? It sounds like they should have just been a unified whole… maybe one day they’ll release the two in a single volume? Thanks for the review. I had the same experience with Blackout and wasn’t sure if I should bother with All Clear. Now I definitely want to read it. Oh, my pleasure. I love Willis so much that I knew I’d definitely read All Clear, but I admit that Blackout by itself was discouraging. Glad I made you change your mind! I am so glad you posted this. I’m a ways into Blackout and I’m finding it hard going so far. Now I know I should stick around. Thanks! I wish I’d known, myself. Definitely keep going. It all comes together by the end, and although it’s a significant investment, I think it’s worth while. These have been on my library TBR list for a while. I will definitely be sure and get them at the same time! And I’m glad that Willis was redeemed! Connie Willis came to The Poisoned Pen in Phoenix just after All Clear was released and talked about it–she said that she envisions it as 1 novel and submitted it as such, but due to the size it was decided to publish it as 2 books and give it 6 months between so not to cannibalize on sales or confuse readers, but it turned out everyone was mad and confused anyway. And it sounded like the book did suffer from the 10 years of work + fascinating time period–she put everything in. She was a great speaker–if you ever get the chance to see her, do so.